Join us on the journey – growing, harvesting, preserving and enjoying herbs. Herbs can provide a rich source of calcium, minerals, and plant-based protein, which is the foundation of good bone health. Comfrey (Symphytum offcinale) leaves, Dandelion (Taraxacum officinale) leaves, Nettle (Urtica Dioica) leaves and Red Clover (Trifolium pratense) flowers are all rich in calcium and protein. One cup of Dandelion leaves has about 100 mg of calcium. 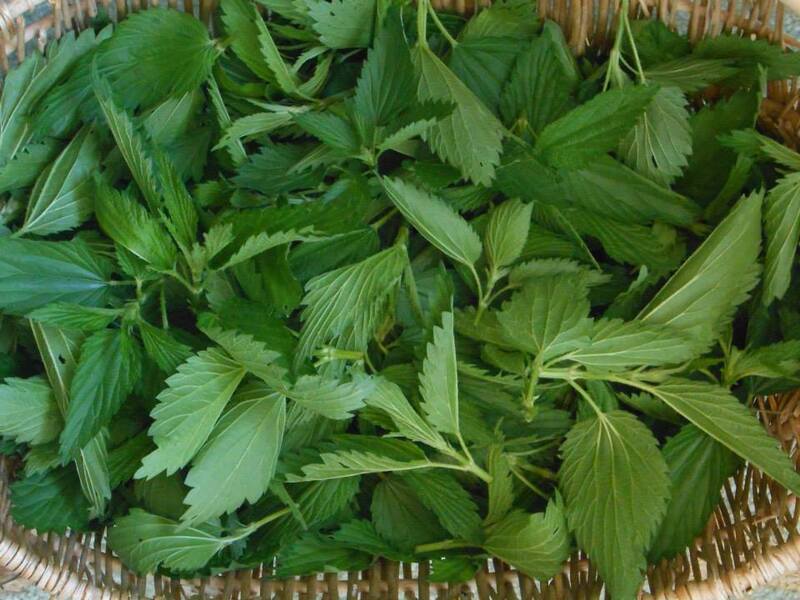 Nettle and Dandelion, common weeds to most folks, are two of the best nutritional sources of many vitamins and minerals. Calcium from plants is best in bulk, as a tea or fresh plant, instead of tincture or supplement. There’s also more available calcium in cooked foods rather than fresh. Calcium and the other minerals needed by our bodies to make strong, flexible bones are hard. Heat breaks them down to a usable form that our bodies can absorb better. Sauté ½ medium-size onion in olive oil until soft. Add thinly sliced shitakes and sauté several minutes. Add nettle greens, along with several dashes of tamari and a few tablespoons of water (just enough to keep it from scorching). Simmer about 10 minutes. 350 degree oven – Peel potatoes, slice them about ¼ inch think and arrange the slices in a well-greased casserole. Combine the other ingredients, stir to mix and pour this over the potatoes. Place the uncovered casserole in the oven. Several times during baking, spoon some of the cream up over the top layer of potato slices. Bake until the potatoes are tender and the cream has cooked down into a thick sauce – about 1 hour. Makes 4-6 servings. NOTE: This one got rave reviews from a 30-year chef!